It is with great pleasure we welcomed Professor Czarnecki to our London campus, and expanded the scope of the Memorandum of Understanding concerning scientific, educational and research cooperation for further courses and foreign training (study abroad programmes). An important area of ​​joint activities will be the implementation of postgraduate studies: Master of Business Administration (MBA), Doctor of Business Administration (DBA), Master of Law (LL.M.) and Master of Science (MSc.). Collegium Humanum in Warsaw and Apsley Business School in London are leaders of continuing education business executive min. 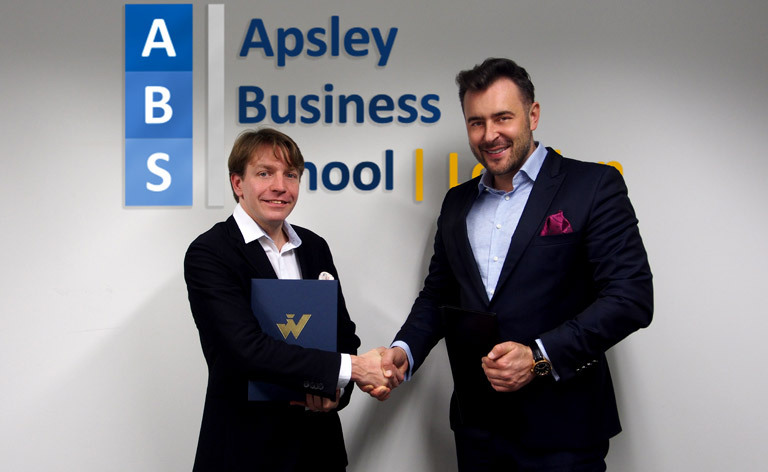 Master of Business Administration (MBA) postgraduate studies for managerial staff in Central Europe carried out jointly with partner universities in Poland, Slovakia, the Czech Republic in Ukraine and Hungary.